Was the title of the 1998 debut solo album by Ian Brown since the break-up of the Stone Roses a couple of years earlier. Unfinished Monkey Business because the press used to refer to him as ‘simian lead singer’ , his arms were too long for his body, all very Monkey like and one of his nicknames. Now Ian Brown is unlike many in the music industry and he can actually play some instruments, yes really he can…. Amongst others, guitar (acoustic and bass), keyboard, drums and harmonica. Now If I only had an ounce of his talent because I really need to get this Monkey off my Back. Despite catching hundreds of the buggers, I’ve yet to bank a 5lb Chub. I wasn’t far off in October but so near and yet so far and all that. I’d like one from Warwickshire too as that’s my patch and would mean much more to me that travelling to rivers where they are more prevalent. Over the past few years I’ve tended to stick to the same venues and I’m sure that’s not helping in reaching my goal, so for the new river season it’s out with the old books and in with the new. Fishing needs to be a challenge, imagine as a shy spotty youth ‘on the pull’ walking in to a bar full of sticky finger potential and within minutes you’d find yourself leaving with your hands down her pants on route to the local Abrakebabra. Life is about challenges, fishing for me, needs to be exactly that…. 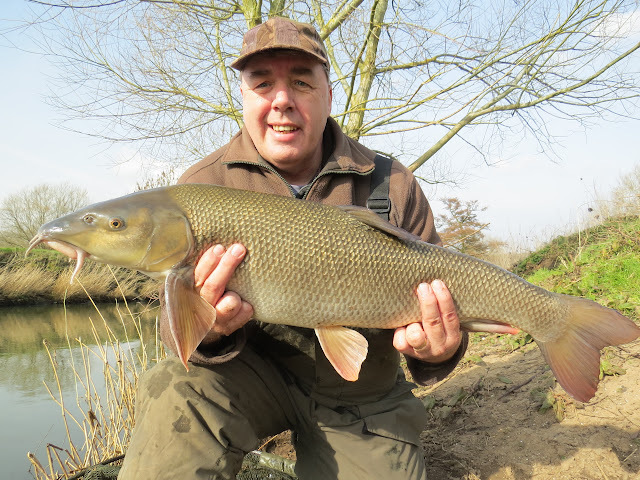 The winter has been very much a wash out so I’ve struggled to even get bankside let alone target a specimen Leslie Ash. Now this location has been good to me in the past, over the relatively short stretch it’s loaded with feature and especially in the summer I love fishing here, it’s full of character. When it’s clear and the rivers are low it provides such great visual sport and I’ve spent many an hour trundling bits of meat under the thick cover which provides the sanctuary for the Barbel and Chub. Now one of the swims in particular really was an eye opener, one summers day I approached the swim from a different direction than usual and what I saw really did take my breath away. There were two double figure Barbel mid river holding station and moving up and down vertically amongst the thick streamer weed waiting for any food particles to come their way. Don’t get that from a commercial mud puddle do you…. Upstream of the streamer weed was really thick far bank cover which spanned a good third of the width of the river. Despite me trying to be as hidden and stealthy as possible, as soon as they got a sniff of possible danger they all buggered off and tucked themselves away. After an hour or so trundling a lobworm under their comfort blanket I managed to winkle out one of the smaller Chub within the shoal and that went 4lb 9oz but after the swim wrecking carnage it went dead. Sadly the cover has been cut back now so the fish have gone elsewhere but luckily this stretch has other similar swims to go at. 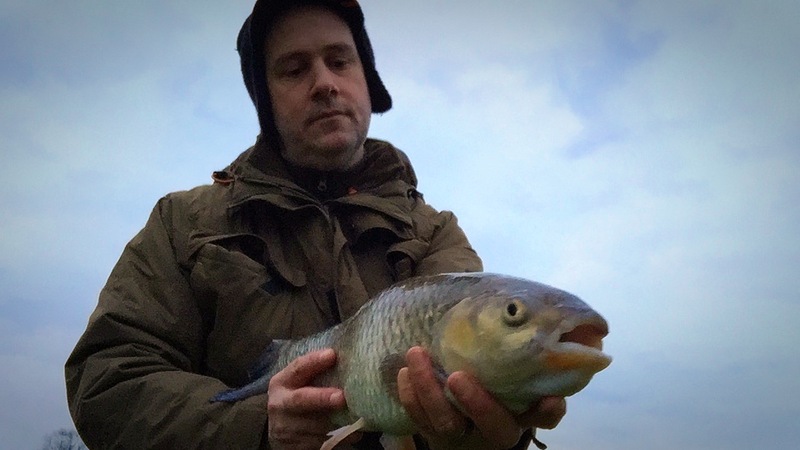 Now for Chub fishing in winter where there is usually some colour to the water cheese paste is hard to beat, if there is a Chevin in the swim they will home on to it very quickly, they are the greediest of species. My recipe is simple, equal measures of shortcrust pastry, grated mature cheddar and grated frozen Danish blue. I also add a little whatever I find in my bait fridge, krill groundbait, shrimp liquid that sort of thing, you can never make it too stinky, the more pungent and potential Wife moaning the better. Simple link ledger tactics work as good as any and I secure the paste with either a paste cage or use a cork ball secured on a bayonet. I like using balanced tactics too especially with a river that’s fining down with a manageable pace, a centre pin and a light Avon rod with a 3oz quiver feels just about right, a Barbel rod doesn’t, even for a big Chub its overkill. Even when the fish is snag bound it’s great to properly lean in to the fish with the rod bent double, it’s a sport after all, so the fight needs to be enjoyed and not mere routine. When I got to the river I could see the Chub were going to feed, it had that lovely winter looks about it, a greeny blue tinge, just about the right amount of clarity and over the past week it had dropped a considerable amount so lots of the swims would be fishable with the light link-ledger set-up. Sure enough I didn't have to wait that long for the first bite. The size 10 barbless Guru QM1 hook giving good retention and eventually after a good dirty scrap the fish was banked. It had properly been on the feed too with a large thick belly. The dial went 4lb 12oz's, an oz short of my PB and 4oz short of the magic (for me anyway) 5lb. The next swim I needed to fight through the bone dry thicket and found myself in a classic Chub swim, again within 10 minutes, another chunky Chub of 4lb 8oz. I ended up with 6 fish with all comfortably over 4lb, a cracking session but sadly time caught up to me and I had to leave. Incidentally the Pike rod remained untouched. That 5lber, so near and yet so far. Martin Roberts was having a better session than me not far away and he ended up with 3 Barbel, 2 of those double figures, the biggest a well deserved PB. I hadn’t fished this part of the Grand Union before but wow, what a contrast to the areas I usually fish, despite the recent deluge of rain this section was crystal clear, easily a metre of clarity. Now, not ideal conditions for fishing, as this one and a half mile stretch were also largely featureless. There was a small series of locks but there were large in scale but also very open to the elements so there were white tips on the surface when I got there. I had a lure rod and a deadbait float set-up which would be fished overdepth in various likely looking areas. The first retrieve of the deadbait a small jack Pike came up from the depths to have a nose as this shiny chunk of fish and made a large surface disturbance when it caught sight me. It quickly returned from where it came and never to be seen again. I had originally planned to fish a bright lure which I’ve done well with in water with some colour in it but I swopped to a lure a little more sympathetic with the environment. 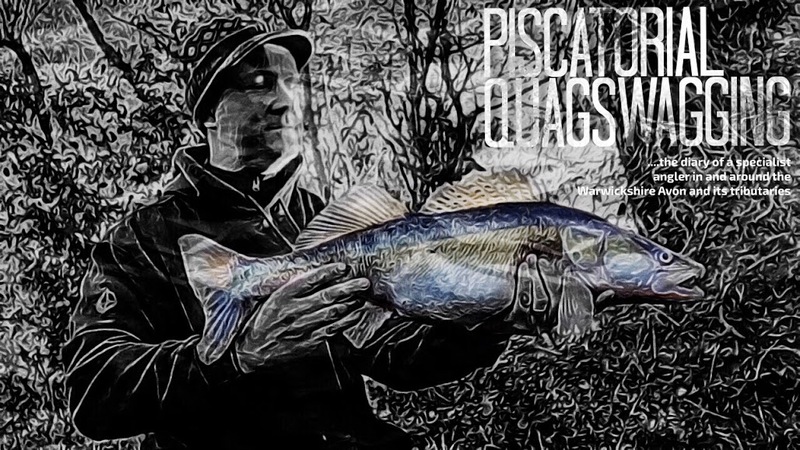 In my experience with this clarity the Zander would have a reluctance to feed but I’d did think the Pike would be around but after a few hours without a nibble and after speaking to another angler who also remained biteless I did think of changing venues. I was here for a reason though as we had an overnight stay at the Father-In-Laws just round the corner so I blagged myself a little fishing trip in the morning whilst the kids were getting in their morning routine, better stick with it.. I ventured past the locks and to a more sheltered area with some moored features but again, not even a touch on the deadbait or even a follow on the lure, this was not looking good. I sort of get a feeling these days when walking the local cut and this inaugural trip did nothing to think I better rush back. I’m planning on repeating my 2015 Zander challenge for the forthcoming closed season and have plenty new areas to try so I’m not giving up on this stretch yet, I’m sure when there is some colour to the water and the locks are not like the North Sea it will fishing completely differently, we'll see. I've forgotten what a decent fish looks like…. With the closed season nearly upon us and the local rivers out of sorts I was unsure of what to fish for. It was going to be a little milder after the recent cold snap so I didn’t mind sitting a session out so a Pike session it was. I’d unintentionally caught a couple from this venue in the past that took a liking to lobworms intended for Chub but there was a nice marginal slack that despite the pace of the river it could provide a little sanctuary for the apex predator. 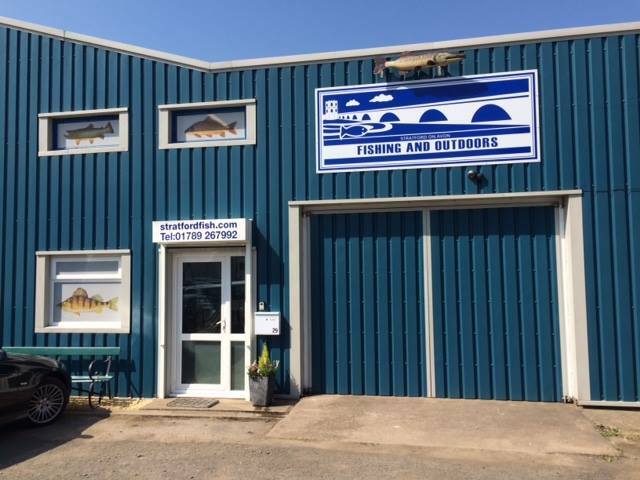 A chance trip to the local supermarket I had a freezer full of cheap Mackerel and with the river coloured it was an ideal bait to use. I rarely fish for Pike but as a potential point accumulator (best so far of 9lb) for the bloggers challenge I could add points to try and stay in 2nd place in the River leader board. I’d not a chance of catching the specimen fish catching machine that is James Denison but it could keep me propped up if a larger specimen decided to feed on the pungent scombroid. I like hedging my bets and with some lobworms and stinky cheese paste in the bait fridge I’d also have a rod for a Chub. If they had been on the feed over winter they would be at their biggest too. I’m yet to catch a 5lber, easily the biggest Monkey on my back, I’d catch one, one day that’s for sure. I turned up at the river, unpacked the rods, set-up the landing net and banksticks then discovered I’d left the Mackerel at home..arhhhhhh. Ok only 10 minutes away but not ideal having to go back from where I’d came from. With the rods set-up it was sit and wait, now the lobworms remained untouched, but as soon as I put some cheese paste on within fifteen minutes or so I received my first bite. The problem was I had limited amount of cheese paste, so after a few fluffed and mistimed strikes, I was cheesepasteless. The wind was picking up too and it was surprisingly mild but as it was open it wasn’t exactly pleasant. The fox drop off indicator remained motionless so with an hour left I decided to drive a few miles down the rod to a spot where I’ve caught Zander before and fish small strips of Mackerel as a bit of an experiment. 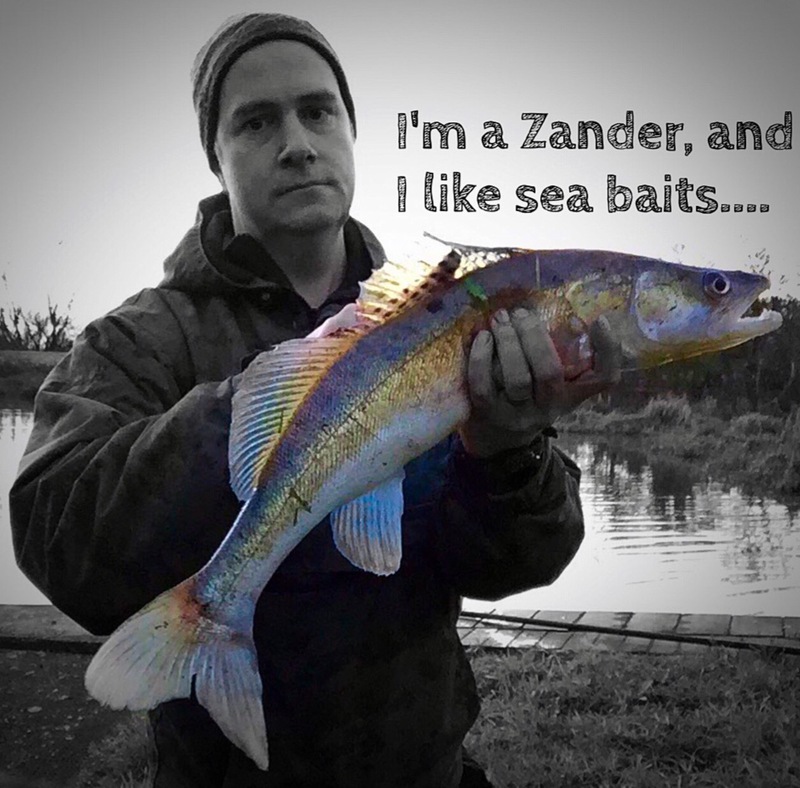 And as suspected, yes, Zander do like sea baits. Now with the weather a little more settled for this next week hopefully I'll start catching some decent fish again. It's been all very mediocre of late, I need to put a smile on my face. I knew the session would be difficult when the cars roof was covered in ice, but as someone who needs their weekly fishing fix I had to get bankside. The skies had been clear overnight and the temperature had plunged to well under zero. I had initially thought about sitting it out with a maggot feeder set-up with maybe some lobworms and then have a sleeper rod out for a Pike or Zander but I’d need to do some roving to stay warm. Lucy’s Mill had dropped significantly during the week because it had been up to the benches at one point. The feeder rod was dumped and out came my light jig rod, but I’d stick with the sleeper. Despite leaving a deadbait in 4 or 5 swims for ½ an hour or so, not even a touch and the lure was also ignored, it looked a nice clarity too and the levels just about right. The sun was out too so maybe being sat in on place wouldn’t have been out of the question but then in the shaded swim, the cold crept in pretty fast. The vitamin D seekers and dog walkers started to come out in numbers and the footbridge had constant foot traffic and at some point even looked congested so I up sticks and ventured downstream to swims I’d not fished before. There is a nice piece of slack water opposite a small sausage shaped island but again the deadbait was ignored and the lure unhindered. Past the turbulent weir it gets interesting so it more nice to have an explore even though the fishing was pants. A decided to give a lovely looking slack the last hour as it looked ideal for Pike, sheltered from the main flow and plenty of cover, it was just a matter of waiting for a bite, anyway…. bugger all….as I returned to the car a couple of Pike anglers hadn't a touch either. Lesson learnt, I should have stayed at home nestled in the Wife’s warm and comforting bosom. Then again, fishing shouldn't be easy should it. Come the longer days in the new season I'm planning on some dusk fishing for Zander. A change of tactics for this trip to the Warwickshire Avon, and another introductory session at Lucy’s Mill. I had planned to use up a gallon of red maggots as they were getting past their best, but as per usual with the wet and windy weather predicted that plan was short-lived . I intended to fish a feeder full of the ammonia oozing wrigglers with a couple on the size 16 hook tied to a short hook-length, which is secured to the line helicopter style. It’s a great set-up this, and from time to time when the fish are on the feed the tip has barely time to settle before it’s on the move again. Most of the time it’s a self-hooking set-up, you just need to make sure the hook is properly sharp and wait till the tip properly bends round. The currents in weir pools are complex and have to be understood and if such areas are to be fished successfully. 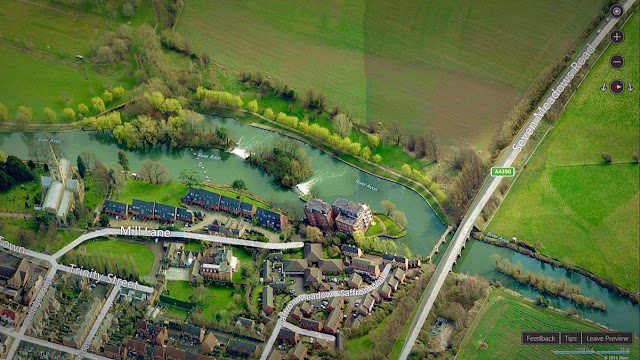 Lucy’s Mill has two weirs and over a couple or three hundred yards a water with hugely differing currents, depths and bed. I’m a novice here, so be patient…. I found a nice shelf here last time so for this session the small pike float equipped sleeper rod would be four meters or so out with a small deadbait fished over depth just on the edge of the drop-off to try and pick up a patrolling Zander. The deadbait remained but it was presented on a light running set-up and the maggot feeder set-up was replaced with a light lure rod. Now little did I realise the rain that started overnight and continued for the whole day would cause so many problems. The Wife and I had been at Cheal's of Henley for the evening and it had more or less shut Wootton Wawen off when we returned, the Stour hovering around 0.6 metres had increased to well over 2 metres. Now I needed my fishing fix but at one point the rain was that heavy no matter how waterproof my trousers were they were penetrating the fabric, not particularly pleasant I must say. I managed a Perch fairly quickly and a Pike of around 7lb on the chunk of Roach but luckily for me it wasn't a Zander as it subsequently made a bit for freedom when I was sorting the camera out and it flipped itself back in to the river. Over the 4 wet hours in plenty of swims with a nice colour to the water, the fishing was disappointing maybe as I had the place to myself others know something I don't. With more rain on the way I'm fast running out of time, I may try a later session in to dusk to see if that gives me better results but the rivers may well be out of action. Fingers crossed...now need to get on to Ebay, I need a Poncho.